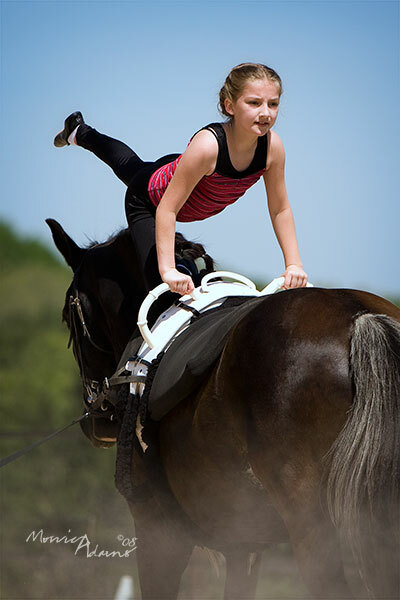 We are currently seeking clinicians for the 2011 Bluebonnet Horse Expo. We will be looking for clinicians who can give riding and training demonstrations as well as speakers who can present information on topics such as dental care, routine vaccinations, preventing horse theft and more. The Bluebonnet Horse Expo is a fundraiser for Bluebonnet Equine Humane Society. Proceeds of the Expo provide care to the horses helped by BEHS. At this time, clinicians donate their time and travel expenses in order to help the rescue help even more horses. If you would like to be considered for the 2011 Bluebonnet Horse Expo or know someone who might be interested, please contact us. We will be adding information on clinicians who will appear at the Bluebonnet Horse Expo as they are confirmed. Aaron’s passion for horses led him on an educational journey. He completed his degree in Equine Science and Ranch Management in Arizona. He worked as a ranch manager in Arizona and later in Washington. His quest for knowledge led him to apprentice with Pat Parelli for 4 yrs. where he earned the highest level of certification in Natural Horsemanship. He also apprenticed for 3 yrs. with World Champion Cutting horse trainer, Leon Harrell. Aaron has won several championships in Cutting and has started many horses in Dressage, Jumping, and Pleasure. He also enjoys overcoming problem issues related to training. Aaron teaches that you can have a partnership with your horse, while building trust and confidence in the horse. He does not believe in using pain, fear or intimidation. His passion and desire is to teach you to have refinement in your riding and a confident, willing, partnership with your horse, no matter what discipline you ride. 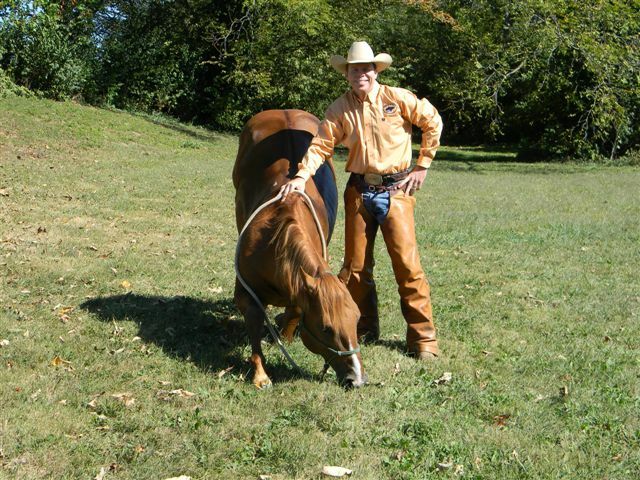 Aaron was honored to have been chosen to represent and demonstrate the Nokota horses at the 2010 World Games in Lexington, KY, showing their versatility and trainability. He loves helping students achieve their highest level of competition through clinics, private lessons and group lessons. Aaron will teach riders how to have refinement in their riding and build a confident, willing partnership with their horses, no matter what discipline they ride. Trey Young, "The American Horseman," an accomplished, relatively new face on the training scene. Young will be welcomed to HRTV from the family’s 3-Y Ranch in Crawfordville, FL, exhibiting a “natural horsemanship” style that encourages and fosters success for both the rider and the horse. The first in a series of Young’s valuable lessons will debut on HRTV Dish Network 404 at 10:30 p.m. ET/7:30 p.m. PT. Shows highlighting Young’s expertise will continue on successive Tuesday’s throughout the year. 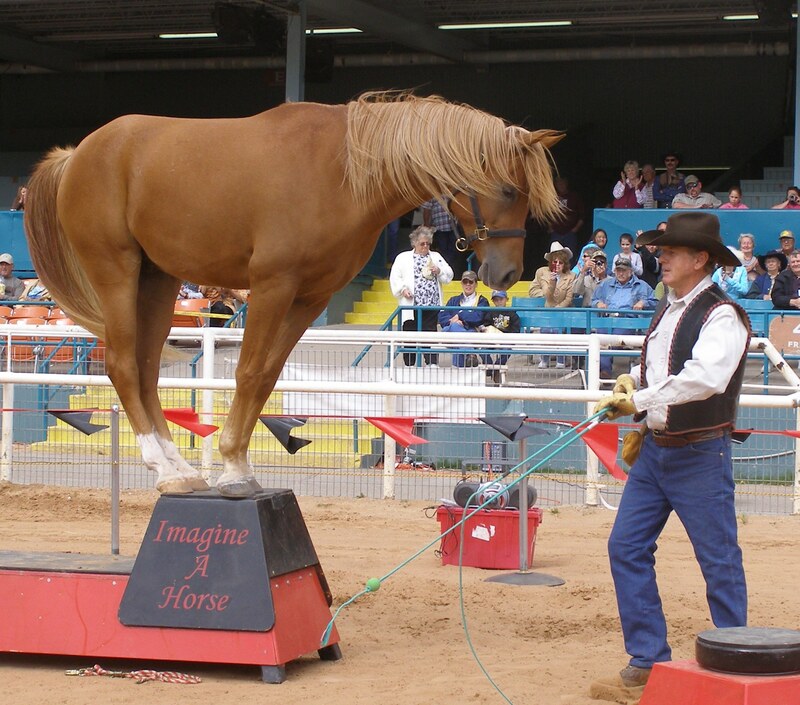 Trey's technique and philosophy in training mirrors that of the "natural horsemanship" style of training widely used today. While many trainers are indeed successful in this style, Trey seems to excel in it. His passion for the horse and rider is so evident from your first meeting with him that you know right away you have chosen the right trainer for your horse. Having worked with other horsemen such as Chris Cox, Jay Holmes, and others, Trey's knowledge and experience are invaluable tools that contribute to the success he has so enjoyed in his relationship with the horse. 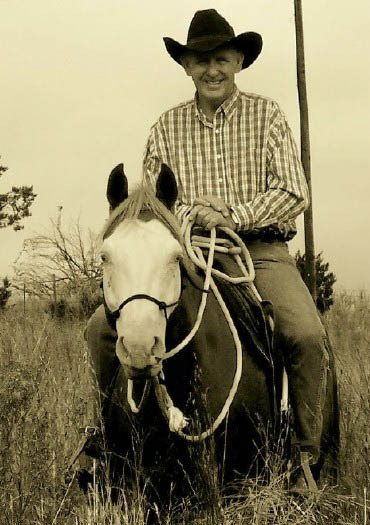 Jere Johnson was raised in Colorado and has many years of horse experience, His parents ran a boarding stable near Denver and Jere learned to ride when he was very young. He started training horses when he was a teenager. When he went to college, he worked in sale barns and on ranches on horseback to pay his tuition. When he married, he worked on ranches in Colorado, Nebraska , and Texas. During the time he was working for other people he used the "normal" way of breaking and training. Finally in the 70's he saw a Ray Hunt clinic and his eyes were opened to another, better way of training. He started going to clinics put on by other "natural" trainers and incorporated some of their methods. Jere's philosophy now follows the natural teachings of Ray Hunt, the Dorrance Brothers, Dennis Reis, and Pat Parelli. His approach is to look at the horse's point of view and then teach the rider how to build a relationship with the horse. Jere is known for his upbeat and emphatic way of teaching. He specializes in teaching the beginning and fearful rider. 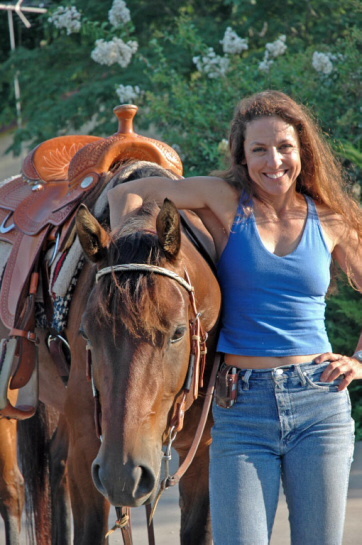 Charlotte Morris, owner of Phoenix Bodyworks, performs advanced therapeutic bodywork and massage therapy on humans, horses, and even dogs. A Semester II graduate of Lauterstein-Conway Massage School and Clinic, she specializes in myofascial release and sports rehabilitation for all from the everyday person to the World-qualifier athlete. In her quest for knowledge, Charlotte has completed over 900 hours of schooling, and she continues her education at every opportunity. Her modalities (therapeutic method or agent, that involves the physical treatment of a disorder) practiced are Active Release Technique, Swedish, Sports, Myofascial Release (deep tissue), Structural Bodywork, Shiatsu and she is also a Level I Spinal Release Analysis practitioner. Charlotte is a bodywork therapist for Texas Reining Horse Association shows and is a yearly icon at the National Reining Breeders Classic and the Bluebonnet Horse Expo. She works on world equestrian game athletes, ironman professional athletes, and everyday weekend warriors. Charlotte can work wonders with boarded horses when it comes to everything from rehabilitation to “vacation” to retirement.